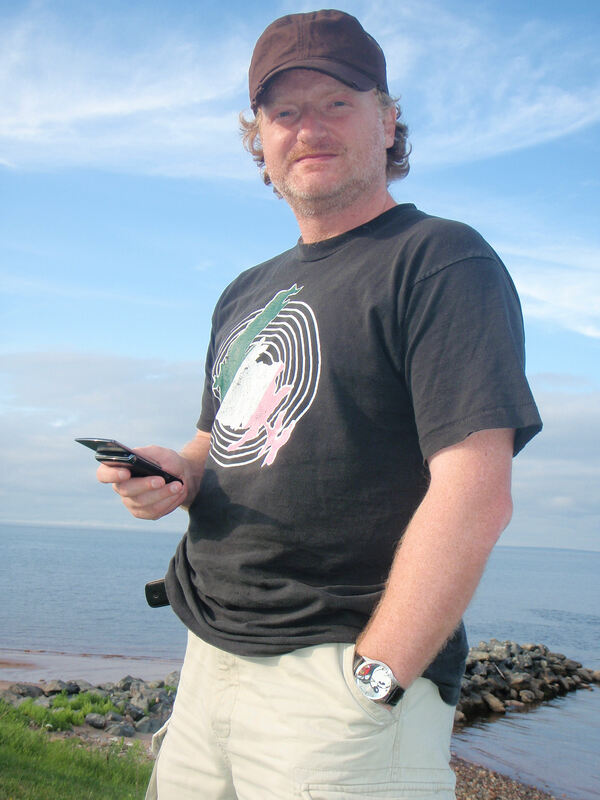 The Halifax Musicphile is a blog created in September 2012 by me: Martin Hickey. I am originally from St. John’s, Newfoundland and attended Memorial University in the late 1980’s – early 1990’s. During my time at MUN, I wrote music reviews for The MUSE and hosted a number of radio programs on CHMR. In 1996 I moved to Halifax to attend university. Between 1996 – 2000, I wrote music reviews for The Weldon Times (Dalhousie). Following graduation, I remained in Halifax. I have always been a lover of East Coast music and the East Coast Music scene, which is home to some exceptional musicians. I have been listening to, watching and talking about the great music this region has to offer for many years. My music collection (vinyl, cassette, CD, digital) features music from old favourites (such as Black Pool, Chad Richardson, Dead Reckoning, Drive, Eric’s Trip, Figgy Duff, Gearbox, Gravel Pit Campers, Joyful Noise, Julia’s Rain, Thomas Trio & The Red Albino, Thrush Hermit and Timber), enduring artists (like Bruce Guthro, Christina Martin, Dave Gunning, David Myles, Gordie Sampson, Great Big Sea, Hey Rosetta!, In Flight Safety, JP Cormier, Jenn Grant, Joel Plaskett, Laura Smith, Lennie Gallant, Matt Mays, Rob Currie, Ron Hynes, Rose Cousins, Sloan, Slowcoaster, Thom Swift, The Trews and Wintersleep) to some of my new favourites ( including: Alana Yorke, Andy Brown, Don Brownrigg, Hello Delaware, Hillsburn, Jont & The Infinite Possibility, Keith Mullins, Mo Kenney, Neon Dreams, Port Cities, Repartee, Ria Mae, Three Sheet, Tim Chaisson, The Town Heroes & more). In September 2012, I started a music blog and moved to wordpress for January 2013. You can also follow The Halifax Musicphile on Facebook or “follow” on Twitter, where share links about current East Coast music happenings.